It’s me, Alan Chaniewski. 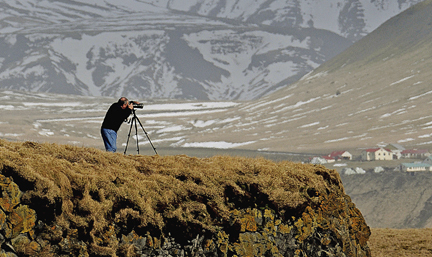 An international award winning photojournalist/writer/presenter/educator for the past 32 years, give or take a few years off for bad behavior (finding work other than being a photographer). After working at the Hartford Courant for about 16 years I have incurred a major change in my employment. My new position is with FOX 61 as a photojournalist. Going out everyday covering Connecticut, working on news stories, and publishing real time pictures to social media. On occasion, I manage to dust off my still camera and fire off a few photos about my favorite subjects and hobbies. This new website will be a showcase for my videos and pictures, with short stories behind them. Feel free to stop by often and take a look. Leave me a comment or two. I would love to hear from you. Thanks for looking and remember, I have my “CtCameraEye” on you! Looking for a presenter or educator? 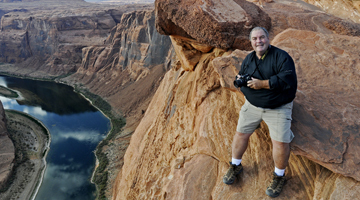 I have over 30 years of experience presenting on topics of Photography, the Life of a Photojournalist, Fire/News photography, or becoming a backyard astrophotographer. I can also hold classes in Photography, Videography, and the use of pictures and video in social networking. Feel free to Contact me. I would love to come and talk to your group. I have received many requests from people inquiring if they can buy a photo or video that I have posted on this site. The answer? YES! Just contact me at the email address at the bottom of the page with your request. I will be happy to get back to you as soon as possible. I am also available for freelance assignments for still photography, as well as videography. 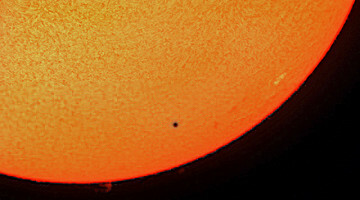 Astrophotography: Solar, Lunar, and Deep space Images and Video. Great for teachers! 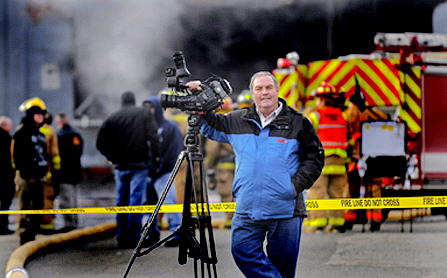 Fire and Emergency Services Photography: Over 35 years of my own news scene coverage. 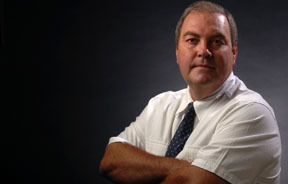 Contact me for specifics about fires, accidents, storm and flood coverage, and more. New Britain: Anything and everything about New Britain. And many other subjects, including aerial photography. GREAT SHOTS OF THE MOON & THE PLANETS!!!!!!!!!!!!!! Found your post on Susan Campbell’s blog. Count me as a fan. I will show Kathy this blog. Yo Chanu ….. Cool site!!! I just wanted to say Hi. I hope your alright after the incident. Hey Alan great shots! You held an awesome workshop yesterday, it was very informative. Even though it may not have been hands on, I still learned quite a bit. Great photos, you captured the story. Impressive work! I’ve always had an eye for the unusual. My photos show that. Two years ago I volunteered as videographer of the Ct Tea Party movement. My you tube videos document the history of the movement. But my first love has always been the weather, water and landscapes. My camera has become an apendage as useful as a third arm. Just returned from Maine for relative’s celebration….LOVE the new site! Kudos…will be in touch soon…knee is finally getting there! Love to you and the Goddess!!! And just think, I knew you when. Loved doing The Dispatch. 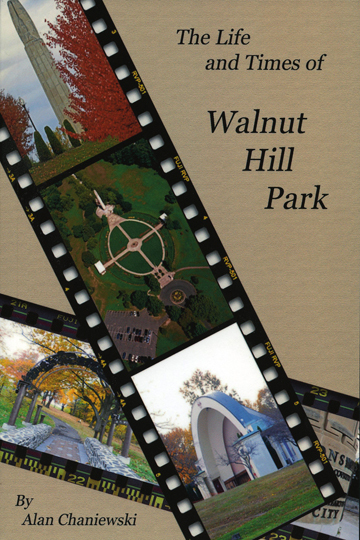 I have a few dozen copies of my latest Book "The Life and Times of Walnut Hill Park" from its second printing still available. Please contact me at achaniewski@comcast.net for more information about ordering the book! You have found the new CtCameraEye website. Updated from my old blog site that I had for over six years. A lot has changed over that time, and the new site here will show you many of the new places where I have been and what I have accomplished. A better blog site to keep in touch with you all, and finally, a new project that I have been working on for the past year which I will be announcing in the next few months. Stay tuned a lot of neat stuff will be happening! 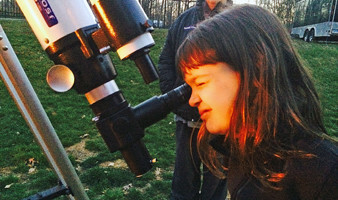 Abry Jordan looking at the moon at a Sidewalk Astronomy session held this month in Marlborough, Ct.
Would you like own a CtCameraEye photo? Go to the "About CtCameraEye" page for all of the information on how to obtain a photograph or video that has been seen on this website. Or, find out about the thousands of images available in our stock file.